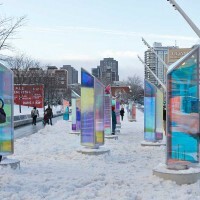 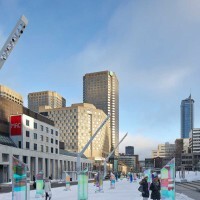 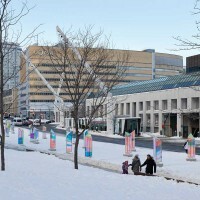 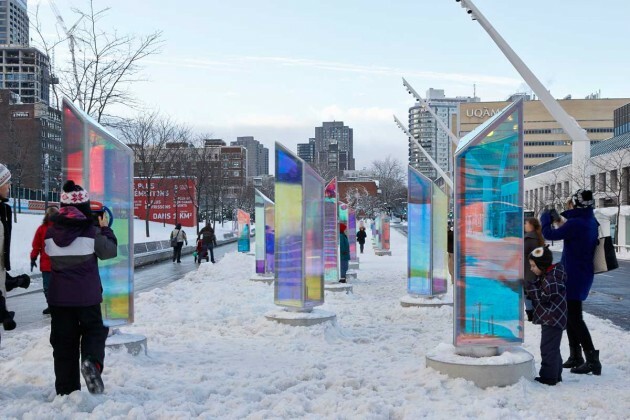 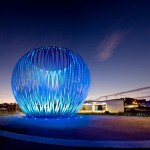 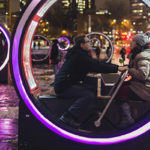 RAW have designed Prismatica, a public art installation in Montreal, Canada, that is made from 50 pivoting prisms. 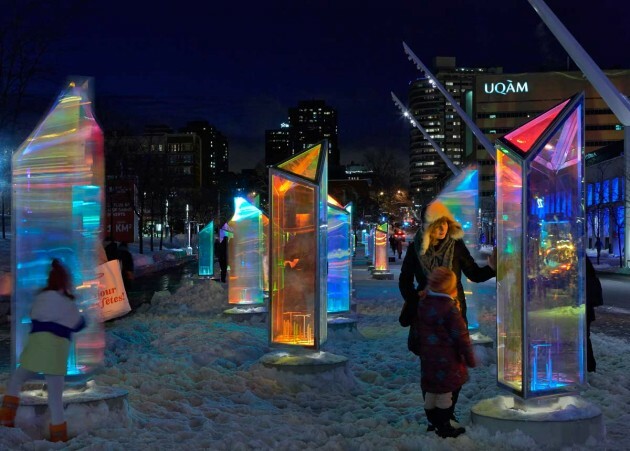 The installation will be on display until February 1st, 2015. 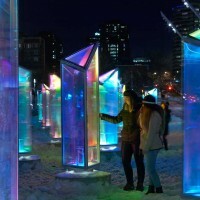 Comprised of 50 pivoting prisms, each more than two meters tall, Prismatica is one of two installations selected by the juries of the fifth annual Luminothérapie competition and will be on display until February 1st, 2015. 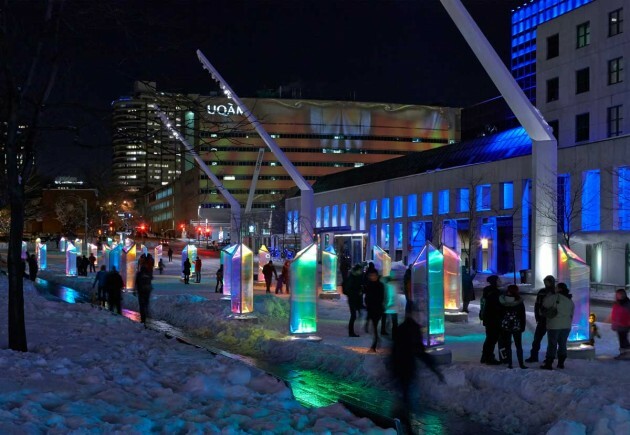 With their contribution, RAW becomes the first firm based outside of Quebec to participate in Montreal’s celebrated design competition. 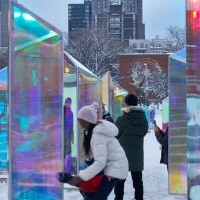 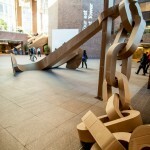 “We wanted to contribute an installation that was immersive, yet inviting. 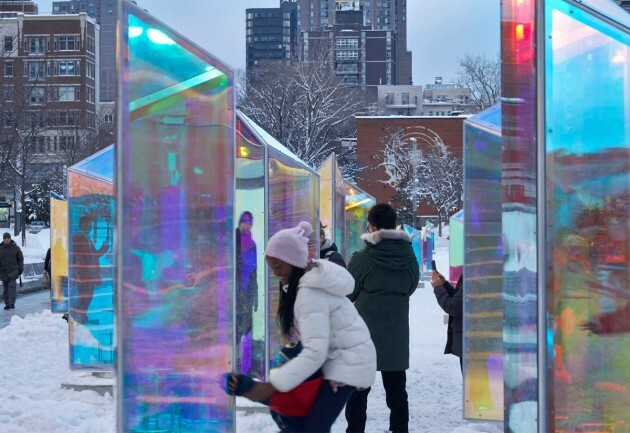 We wanted people to play around, have fun and, in doing so, forget about the cold. 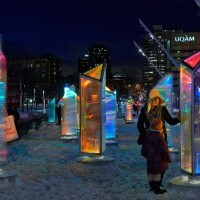 To see Prismatica come to life is a thrill and RAW is honoured to be chosen to participate in Luminotherapie. 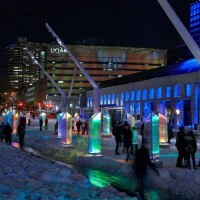 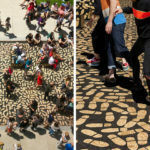 It’s a great event that celebrates lively public space on a large scale and has a history of successes. 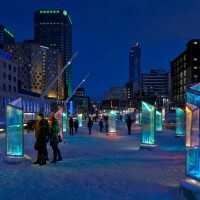 It also speaks to the passion for design found in a city like Montreal,” says RAW director, Roland Rom Colthoff. 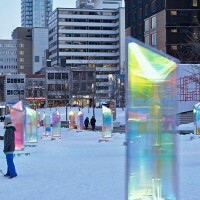 The 50 pivoting prisms are made of panels laminated with a dichronic film that transmits and reflects every colour in the visible spectrum, varying with the position of the light source and the observer. 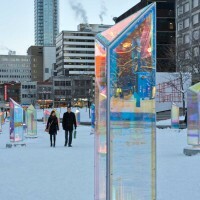 The prisms are mounted on bases containing projectors. 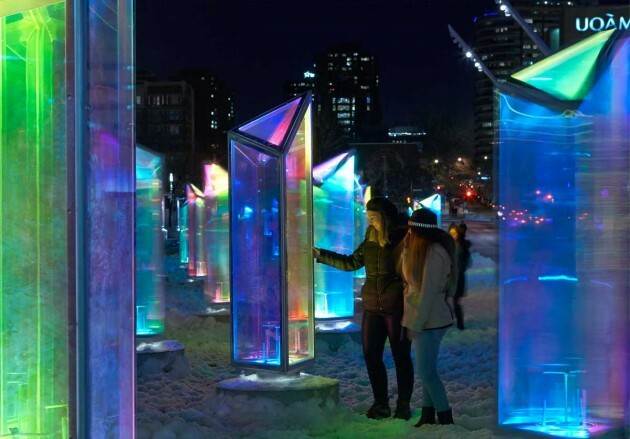 As visitors wander among and manipulate the prisms, they will enjoy an infinite interplay of lights and colourful reflections. 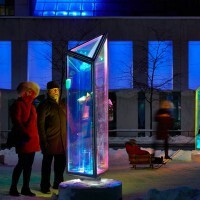 As the prisms rotate, a variable-intensity soundtrack comprised of bell sounds will play.